Free Freight Shipment The freight company will bring the product to the back of the truck, but you will need to remove it from the truck with your equipment. The item will be packaged and strapped to a pallet. A fork lift is recommended. White Glove Delivery You will be called to schedule an appointment. The delivery crew will unpack the product and carefully place it in your desired location inside your building. All packaging and debris will be removed. There can be a maximum of 3 stair steps. If you have more than 3 stair steps, contact us for a quote. Just a Lift Gate If you do not want an inside delivery but do not have the ability to unload the products from the truck, this delivery method will at least get it to the ground for you. The driver will lower it to the curb. The product will still be packaged and strapped to a pallet. 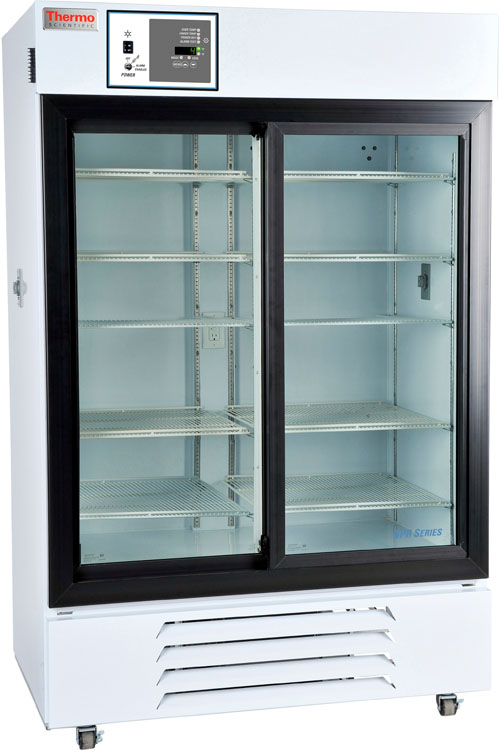 Thermo Scientific GP Series Chromatography Refrigerators provide reliable sample protection and storage ideal for the demanding requirements of daily lab applications. Each unit is manufactured to rigorous standards and delivers the performance, security, and quality features you have come to depend on from Thermo Scientific.